Saturday's ColLAboration event combined two trends of the Los Angeles food and drink scene: pop-up restaurants and craft beer. The event was a collaboration between four of the leading members of Los Angeles's craft beer scene: Ryan Sweeney of Eagle Rock's Verdugo Bar and West Hollywood's The Surly Goat, Brian Lenzo of Blue Palms Brewhouse in Hollywood, Clay Harding of Alhambra's 38 Degrees Ale House and Tony Yanow of Tony's Darts Away in Burbank and the soon to open Mohawk Bend in Echo Park. The event celebrated the 1 Year Anniversary of Tony's Darts Away and was the first in a planned series of pop-up beer gardens. 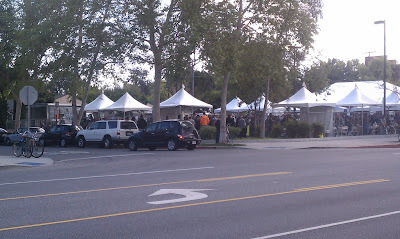 The inaugural event was held in a parking lot in Burbank, a block away from Tony's. Tickets were sold in advance online or at any of the participating bars. Your ticket came in the form of a glass and cost $10 per person. Beers were either $6 or 4 for $20, via an efficient token system. ColLAboration was by far the smoothest run food or drink festival I have ever been to. Tickets sold out in advance, although a limited number were available on-site the day of. 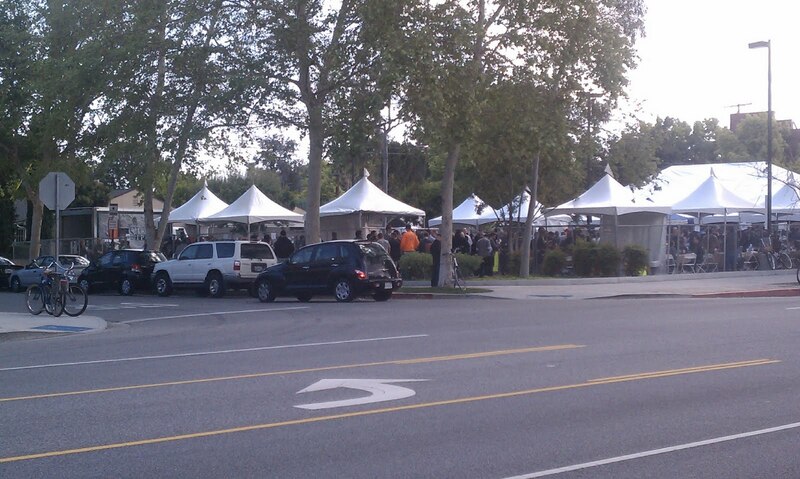 They deliberately avoided selling too many tickets, so that attendees could get beer with minimal lines. If you had purchased your ticket in advance there was no line to get in and most of the afternoon the lines for beer were nonexistent to two minutes with the exception of when a rare beer was announced over the speakers and a ten minute queue developed. They provided ample bathrooms (port a potties) and even had a fenced in "smokers pen" for the cigarette fiends in the crowd. No lines, a genial crowd, fair prices - what's not to like? They even arranged for several local restaurants to deliver to the event, so people could get food to wash down their beer. Tony's was also selling food on-site in the form of folks wearing hot delivery cases, ballpark style, walking through the crowd selling their vegan treats. Sweeney (above) had told me about a Sierra Nevada Dubbel, called Oliva, which he thought I would like. A couple hours later I was the first person at the event to get a glass of the elixir, which was even better than I had hoped. I didn't know that Sierra Nevada made any Belgian style beers. Their stock went up a lot with me. 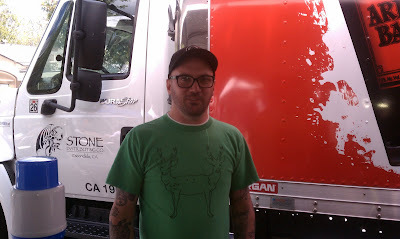 I ran into several of LA's beer aficionado crew, including Jimmy Han of the soon to open Beer Belly, HC of L.A. and O.C. Foodventures, Chris Day of Sotto, Steve Armstrong of ShangriLA Food Blog and Brand X, among others. Unfortunately I left before Josh of FoodGPS and Esther of E*StarLA arrived. There will be several more pop-up ColLAboration beer gardens this summer and I am looking forward to attending as many as I can. If you went this past weekend save your glass, as it is your admission ticket to the next event. Unlike some beer events where you pay one price for all you can drink, ColLAboration was all about quality over quantity, although the pours were rather generous. 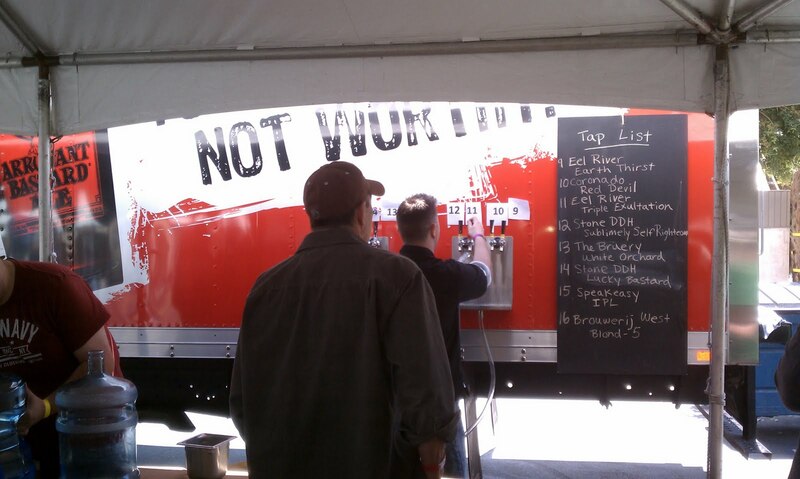 Good beer, a good vibe and good weather; this event hit the trifecta. Stay tuned for news on the date and location of the next fest. Follow ColLAboration on Twitter and on Facebook. Awesome event and awesome write up...I have one up on beersinparadise.com! Hopefully, I'll catch you at the next one! wow lovely posting for beer .cool your idea and i love it. i used high quality beer .really i like drink. perfect posting and interesting details shared. Jason - For sure. I wouldn't miss the next one. Beersinparadise is a cool site. Thanks for pointing it out to me! 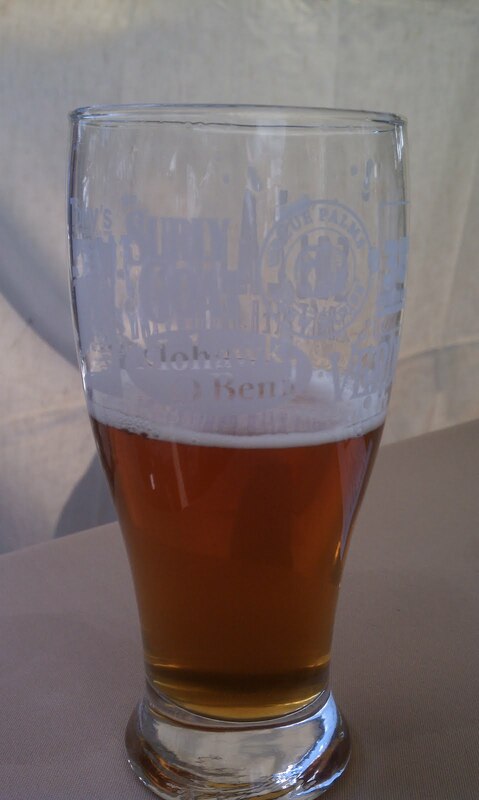 So many great beers and such a well organized event - I didn't think such a thing was possible. Aaron, glad you liked ColLAboration. Me too. 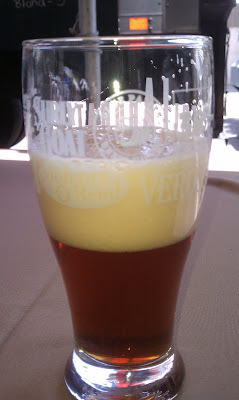 I wouldn't say the pours were especially generous or stingy, they were just right, like the event.